REACHING OUT TO ALL OF WEST SUSSEX. Great results and professional equipment are bringing clients in from Littlehampton, Rustington and Arundel for their laser tattoo removal. At St James Tattoo Removal we pride ourselves on giving professional removal of tattoos, this means using quality equipment that is built with correct settings, top quality internal parts and correct calibration. Most substandard lasers have too much peak power ( this does remove the ink but damages the surrounding skin). When removing a tattoo you need to gradually break down the layers safely so eventually the tattoo fades away, substandard lasers don’t do this. You don’t get a second chance with your skin! Work in progress, this tattoo is showing great signs of fading away, just 3 treatments in. Optimising laser tattoo removal process. 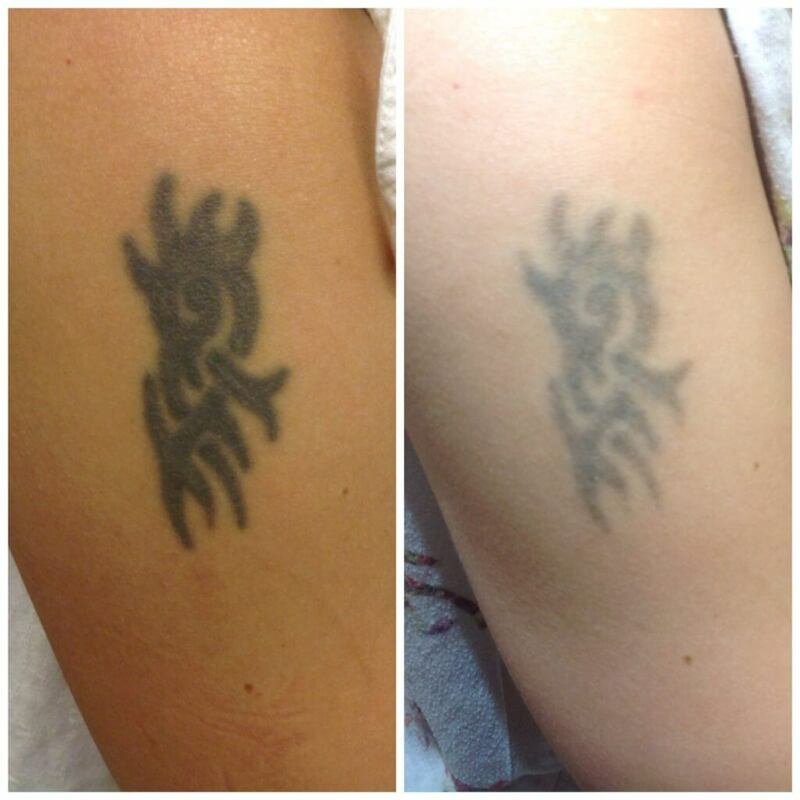 Tattoo removal unfortunately isn’t an overnight process, tattoos were meant to be permanent and last a lifetime. Now with modern technology and the advancement in lasers, that no longer needs to be the case with a series of treatments. Between laser treatments there is a waiting period of 6 + weeks to allow for healing and fading. What can you do in this period to maximise ink removal and heal? Sleep. Your immune system is doing a “reboot” between the hours of 10 p.m. to 2 a.m. A healthy immune system does the actual removal of the fragmented ink from your laser treatment. Exercise. After you’ve healed from the laser treatment, get your body moving again, this is good for the immune system which in turn helps remove those tiny ink particles that the laser has fragmented during the tattoo removal process. Diet and water intake. Eating healthy is always a good choice to make but more so after your laser treatment, getting all those vitamins and minerals in which gives your body a boost, plenty of water is good for flushing and keeping the ink particles moving in the right direction. Vitamins. If it’s a day where you’re not getting your intake of vitamins then top it up with a multivitamin, vitamin C is great for your immune system. Smoking. If you smoke then this might be your reason to quit, if you don’t feel you want to then keep up with the drinking of clean water and vitamin C, smoking slows circulation so this is not as good for the removal and healing process from your laser tattoo removal. Stress. Try and keep your stress levels down so your body performs at its best. Kevin from Bognor has decided to get the tribal tattoo from his shoulder removed by St James Tattoo Removal.